K L University, officially the Koneru Lakshmaiah Education Foundation, is a deemed university located in the Vaddeswaram Guntur District of Andhra Pradesh, India. K L University consists of 11 academic departments and six schools, with a strong emphasis on scientific and technological research. Established in 1980, the college is located on a 10-acre (4.0 ha) site adjacent to Buckingham Canal, and is about 8 kilometres (5.0 mi) from Vijayawada in Krishna District and 20 km from Guntur City. The institution is recognized by the All India Council for Technical Education, New Delhi, has been accredited by the National Board of Accreditation, and is certified by ISO 9001 – 2000. It has been accredited by National Assessment and Accreditation Council with an A grade. This university is popular in India, it is awarded as the “BEST PRIVATE UNIVERSITY” in South India and there are nearly 600 research scholars so far in the university, it was rated with ‘A’ GRADE University in India. 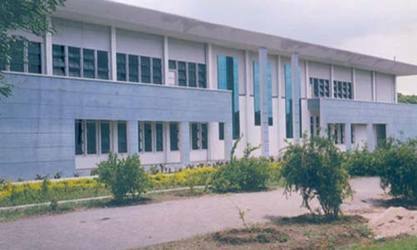 The college was established in 1980 at Vaddeswaram by the late Sri Koneru Lakshmaiah and Sri K. Satyanarayana. Sri K. Lakshmaiah, who graduated from BMS College of Engineering, Bangalore, came up with the idea of establishing an engineering college in order to rectify the local scarcity of engineers. One of the main objectives of establishing the institute was to develop facilities of education in a variety of specialized engineering and technological sciences. Establishing adequate facilities for postgraduate studies and research was a focal point for the founding years. The institute has recorded 100% placements for the past eight consecutive years. affiliated to Acharya Nagarjuna University, Guntur, the college was granted autonomy in 2003.It has acquired the status of deemed university in 2005,and is now known as Koneru Lakshmaiah Education Foundation. The college was started with four streams in 1980, but now offers nine programmes in the undergraduate courses and five programmes in post-graduate courses. KLU is the first engineering college in Andhra Pradesh to start an Industrial and Production Engineering branch in undergraduate courses and to have an NBA accreditation for Biotechnology. It has a plinth area of 38,045 square metres (409,510 sq ft). The college has three computer centres catering to the computing needs of the students and staff. separate hostel facilities are available for both male and female students. ccommodating 2 per room, 3 per room with attached toilets as well as A.C. rooms are also available. Suite rooms with modern furniture and separate study room are also available. The Boys Hostel is at about 4 kilometers from the university accommodating 1957 students with a capacity of 2040 with 780 rooms. Different rooms accommodating 2 per room, 3 per room with attached toilets as well as A.C. rooms are also available. This university was given deemed status under u/s 3 of UGC Act 1956. It is accredited by the National Assessment and Accreditation Council (NAAC) of UGC as ‘A’ Grade with a CGPA of 3.12 on a 4-point scale. It is approved by the All India Council for Technical Education (AICTE), New Delhi, and accredited by the National Board of Accreditation (NBA). It is an ISO 9001 – 2000 Certified Institution, and has been autonomous since 2006. Admin. Office, 29-36-38, Museum Road, Governorpet, Vijayawada. A.P., India. This entry was posted in Andhra Pradesh, Business Schools, Engineering Colleges, MBA - Management Studies by eduportal. Bookmark the permalink. Copyright © 2019 Eduportal.Co. All Rights Reserved.